Industrial scales don't come much better than these GFC floor counting scales with applications including weighing, parts counting and check counting. The bright large backlit display shows unit weight, total weight and number of pieces. A grade 304 stainless steel top pan with mild steel base and pillar mounted ABS plastic indicator, make the GFC a durable industrial counting scale. The range of features built in to the impressive GFC scales include colour coded keypad with numeric entry, overload protection, precision load cell technology, and large platform. Adam Equipment has been manufacturing balances and scales for over 35 years, providing professionals worldwide with quality weigh scales that are the perfect balance of speed, performance and value. Pocket and Portable Scales - From leading scale brands at discounted prices. 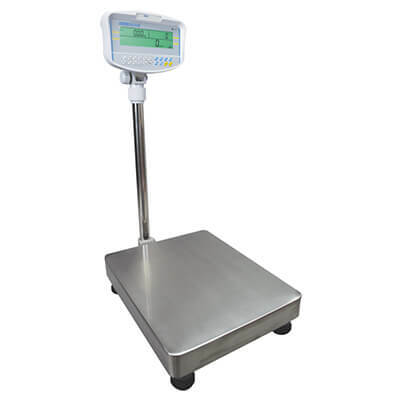 Floor and Platform Scales - Low prices on heavy duty digital scales. 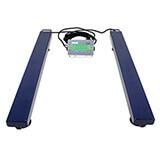 Bench Scales - Low prices on digital bench scales from quality manufacturers. Backlit LCD display shows weight and pieces counted.